Mountain goats are exquisitely beautiful creatures, who can easily scale enormous heights in their high altitude,habitats. With a lifespan of between 9 and 12 years, they are almost exclusive to North America. Spending most of their time on mountains, sometimes as much as 13,000 feet. Contrary to popular belief, they are not always aggressive animals, although they do share a tendency towards aggression, like other animals,during competition in the mating season. What is fascinating is ho they manage to fearlessly climb, practically vertical mountainous slopes, with vigour and grace. Hmm, Wonder Where My Friends Have Gone? Surely They Must Be Stuck? 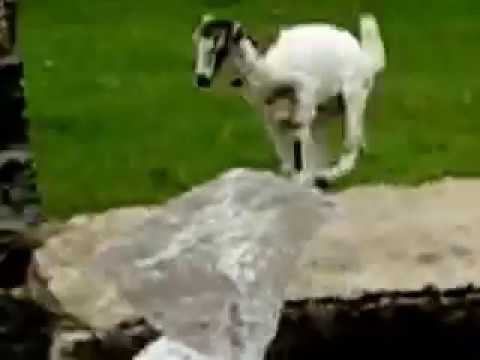 Checkout This Video: A Young Goat Climbing A Nearly Vertical Wall.